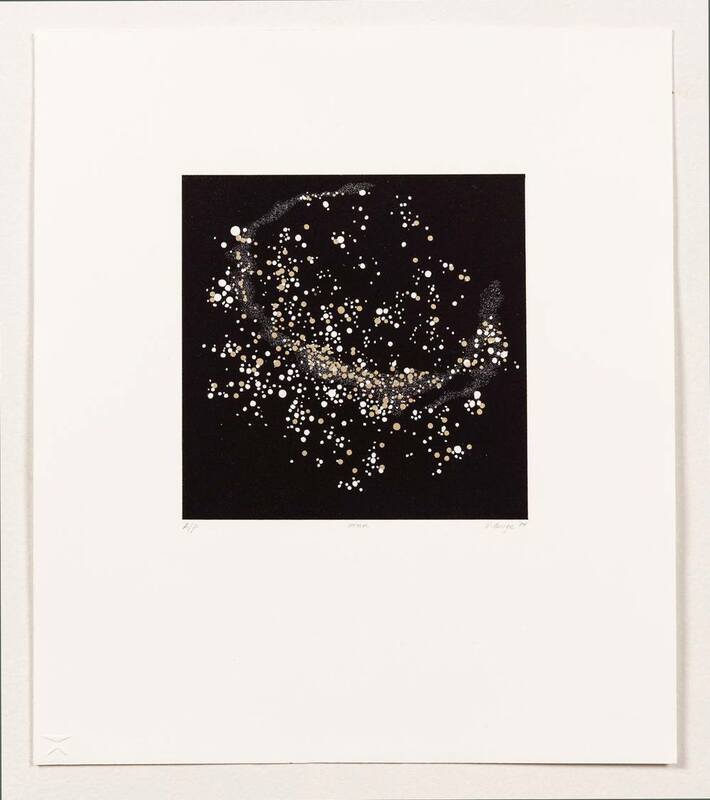 Victoria Burge, "Star", 2 color lithograph with gold dusting on Somerset White. 12.5" x 11". Published by the artist at Stonefox Editions. Alex Kirillov, collaborating master printer.